September 2000. One day Seminar "The Golden Age of the Polish Jewry"
November 1999 the excursion included Migdal on the Kinnereth founded by Hurwitzes, and a pilgrimage to the tomb of R. Yeshayahu Halevi Ish-Horowitz in Tiberias, which was restored with the help of the Horowitz Families Association. 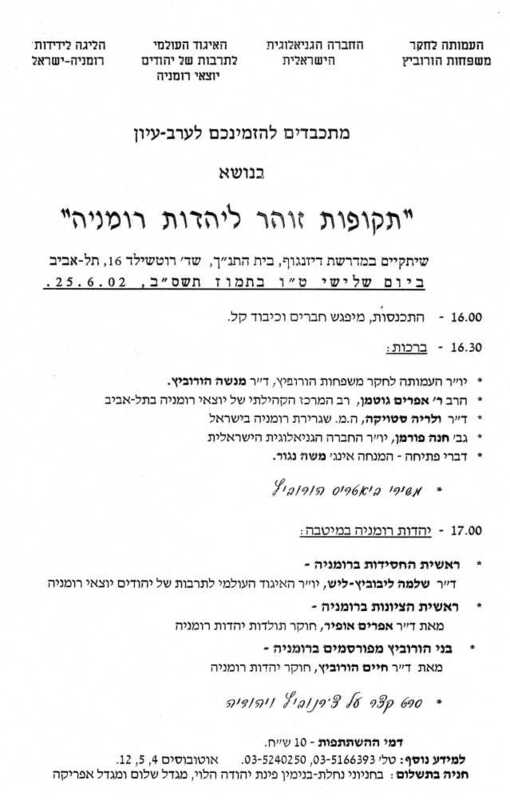 June 1999 a study day was held which dealt with the role of Horowitzes and other prominent families in the "Golden Age" of Jewish Prague in the 16th century. May 1999 a tour of the Western Galilee offered the opportunity to visit educational institutions and factories founded by members of the family. 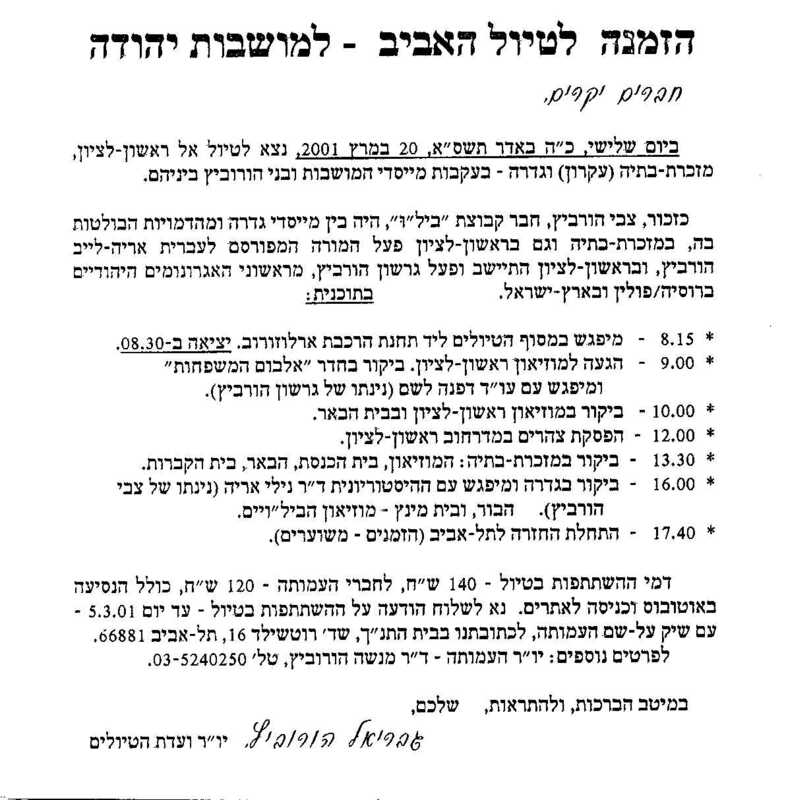 December 1998, was dedicated to the history of the "Bilu" pioneer Zvi Hurvitz. November 1998 An excursion toured the Judean Hills in the wake of Horowitzes who fought in the War of Independence. June 1998, a conference was held to mark the 50th anniversary of the State of Israel; the Chanukah conference.